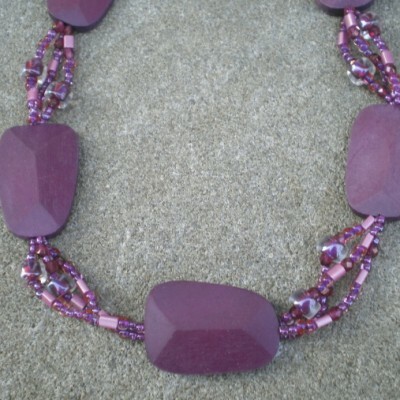 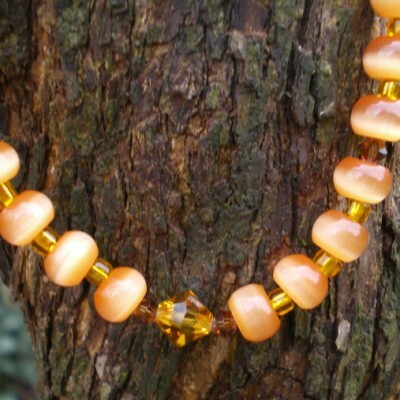 Handmade beaded necklace. 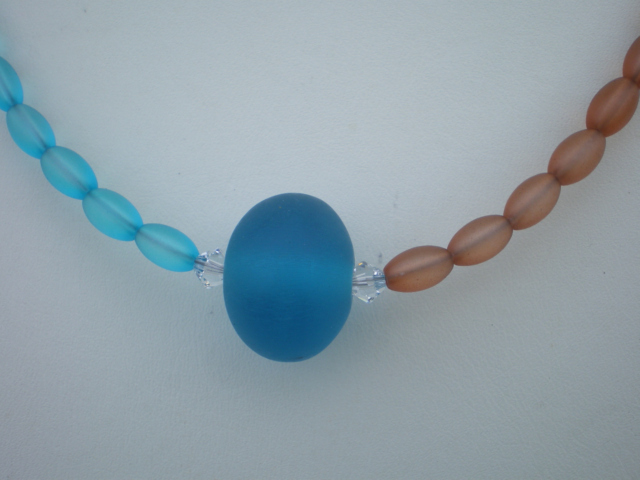 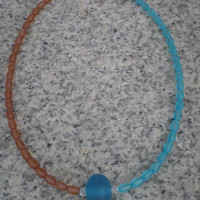 Oval rice shaped glass beads in colors of dark peach frost and blue zircon aqua frost, make up this two tone necklace set. 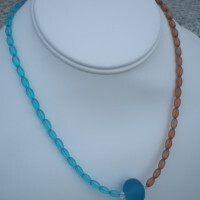 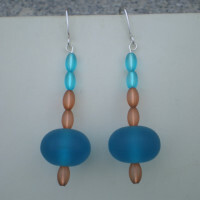 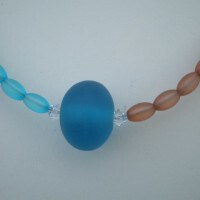 Blue resin rondelle bead surrounded by two swarovski crystals are the front focal point. 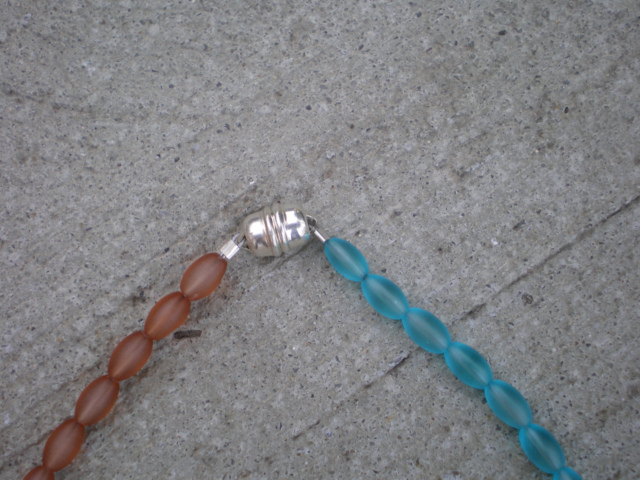 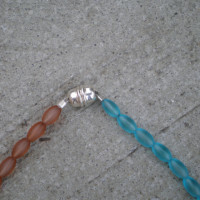 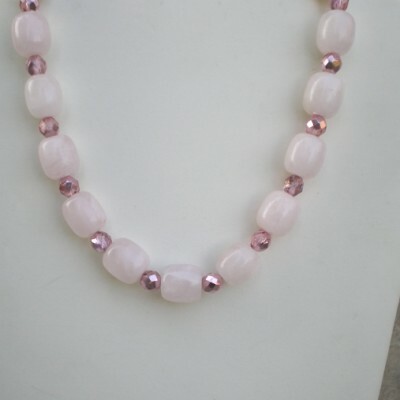 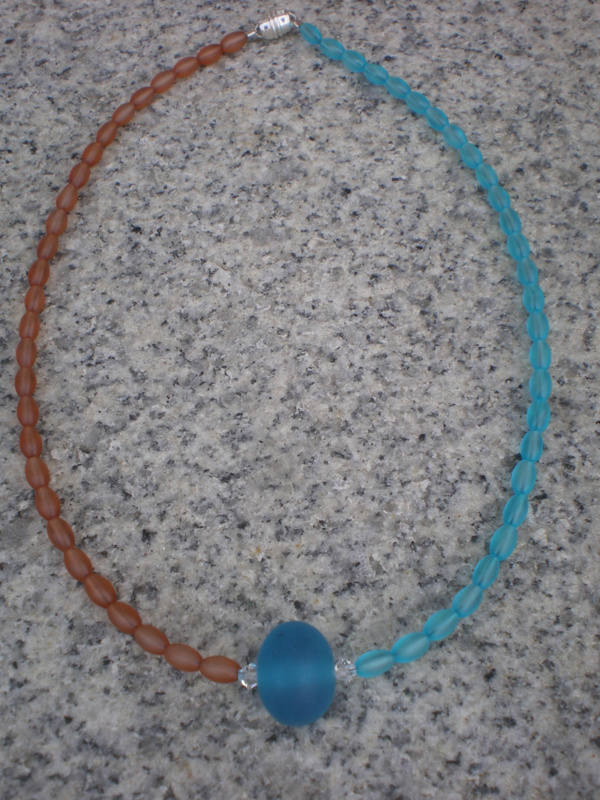 Necklace is 16 3/4″ long with a sterling silver magnetic clasp. 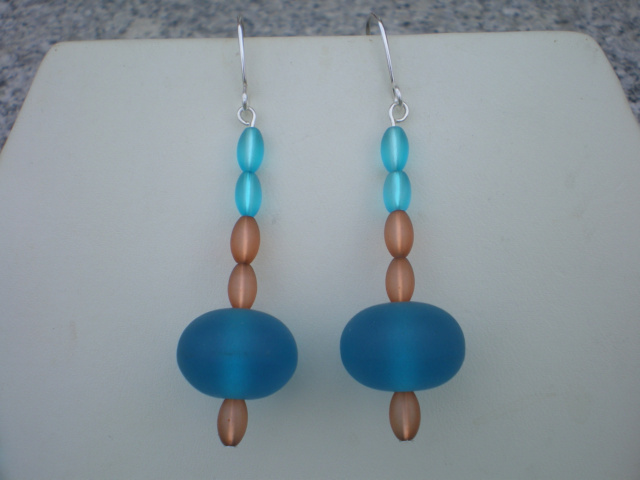 Matching earrings are 2 1/2″ long with handmade non tarnish silver ear wires. 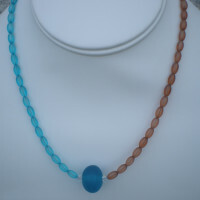 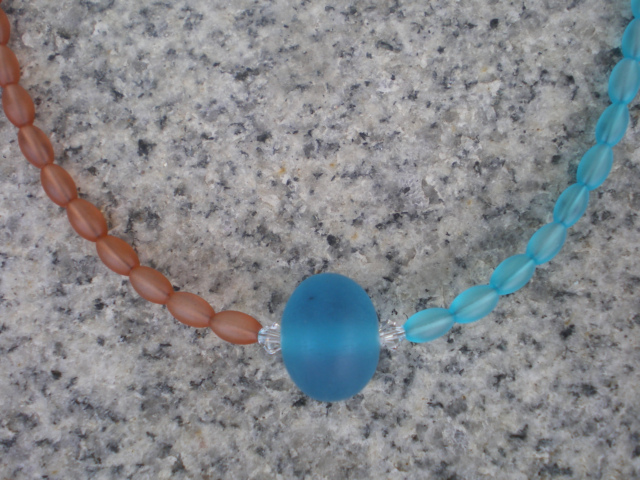 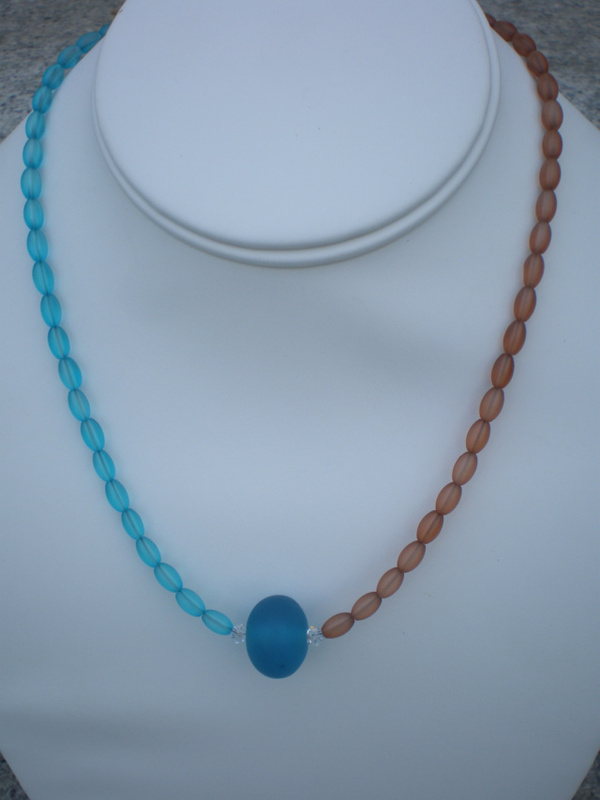 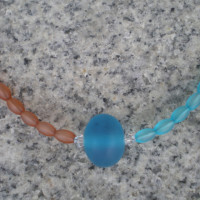 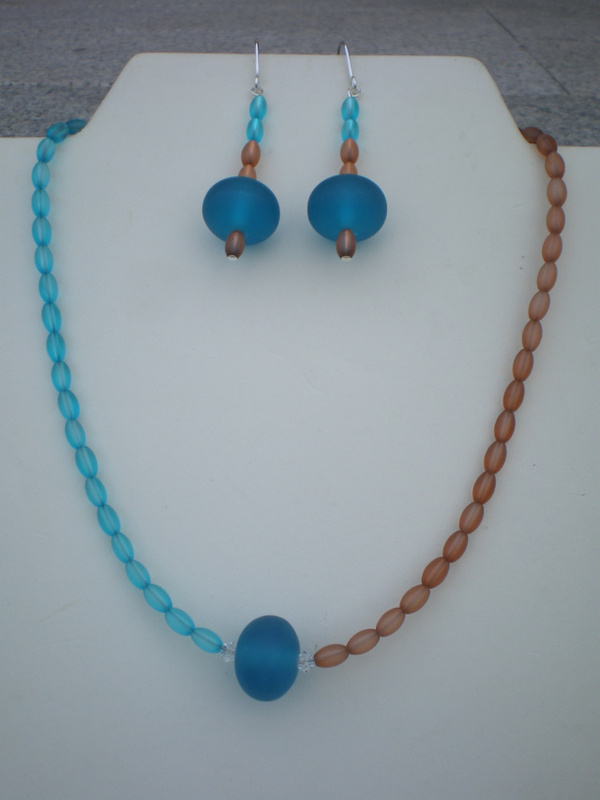 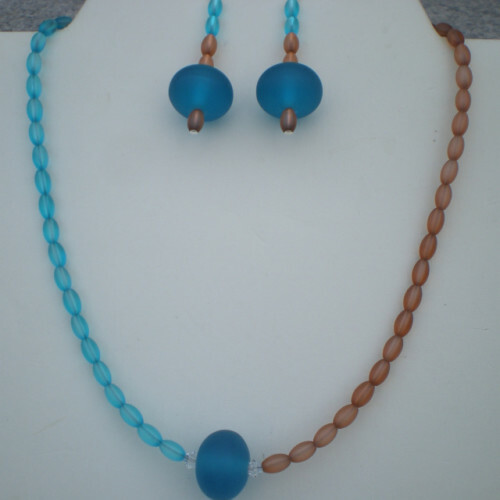 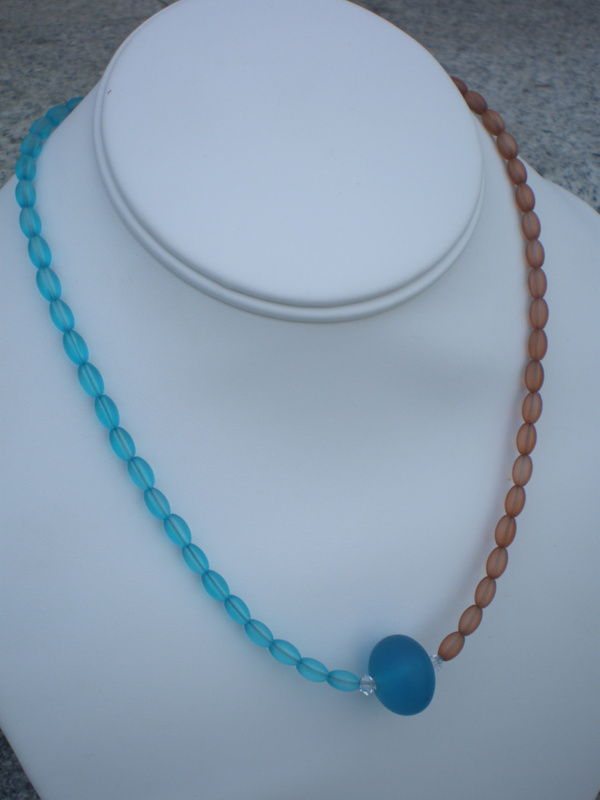 Be the first to review “Peach And Aqua Rice Bead Necklace Set” Click here to cancel reply.